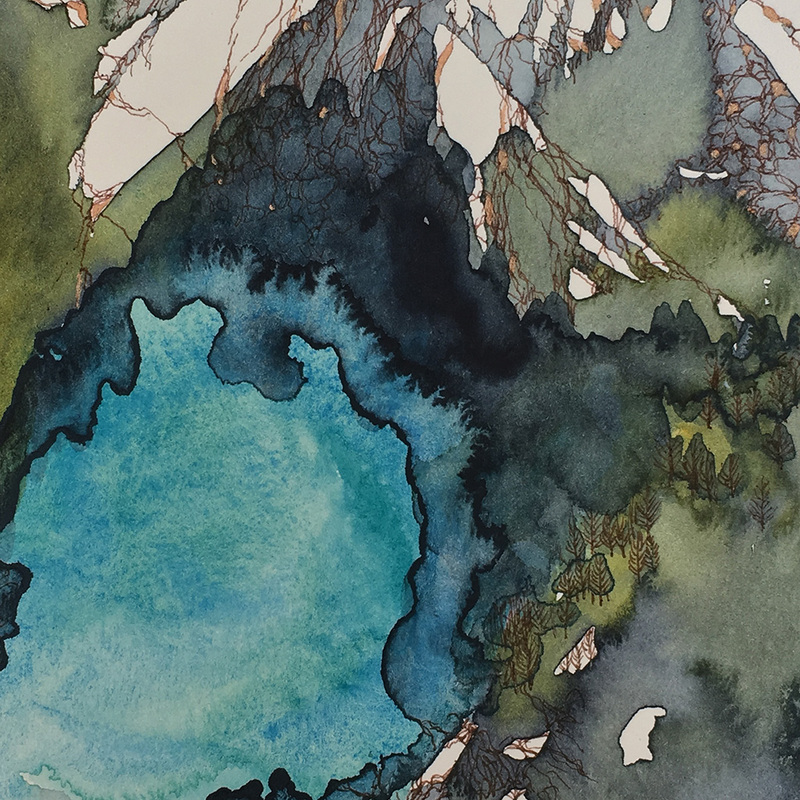 Gradient is an exhibition devoted to the otherworldly beauty of the vast and wintery alpine landscapes. 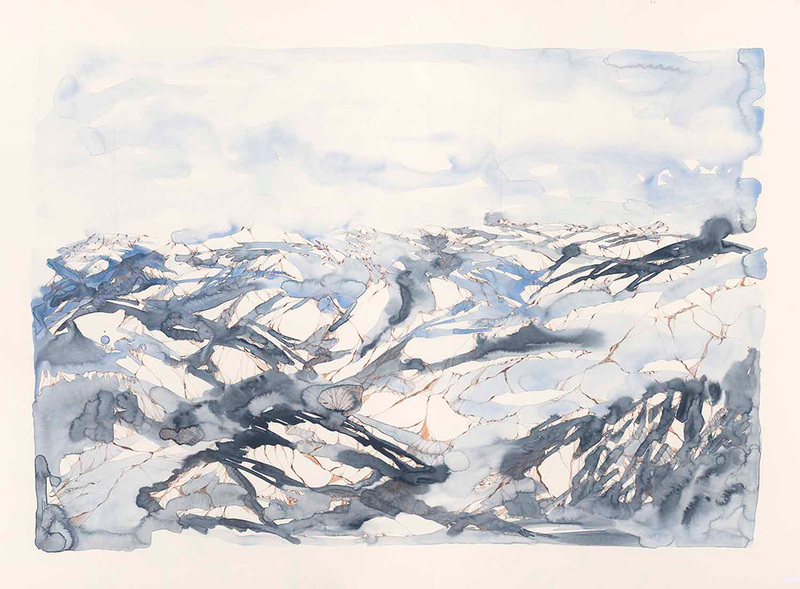 Whilst exploring infinite horizons and celestial nightscapes, majestic icebergs and sculptural glaciers feature alongside snow-capped mountain ranges. 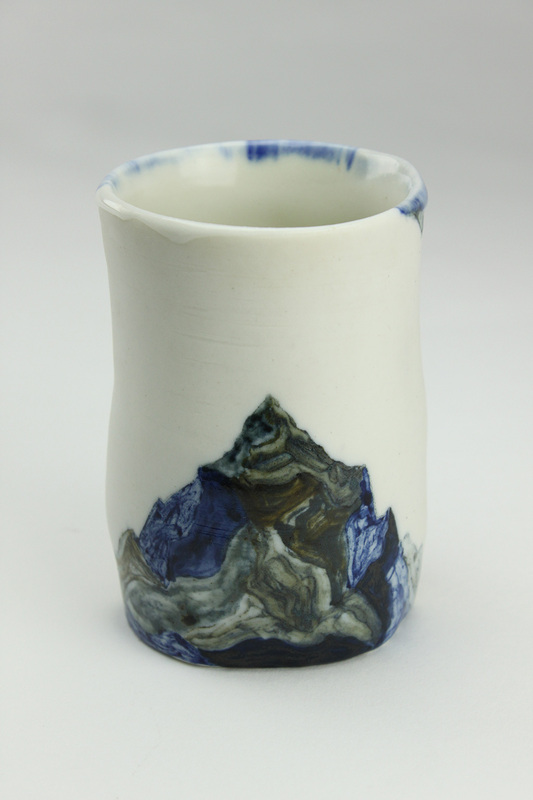 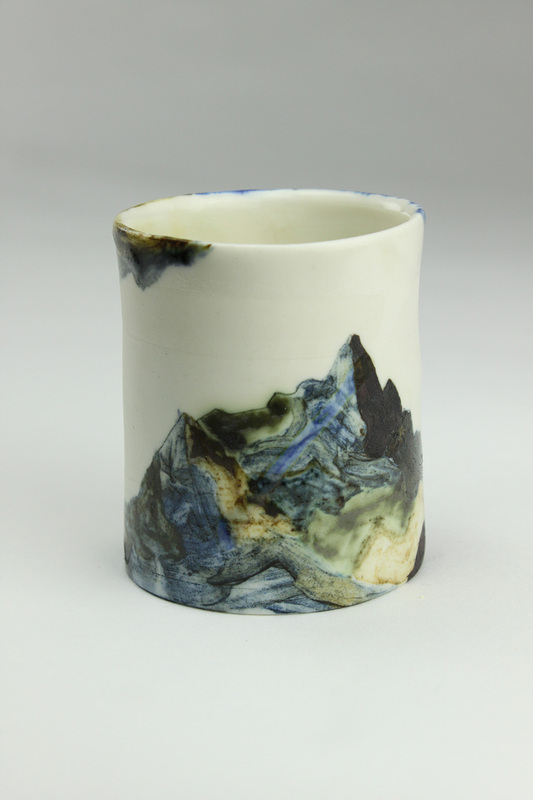 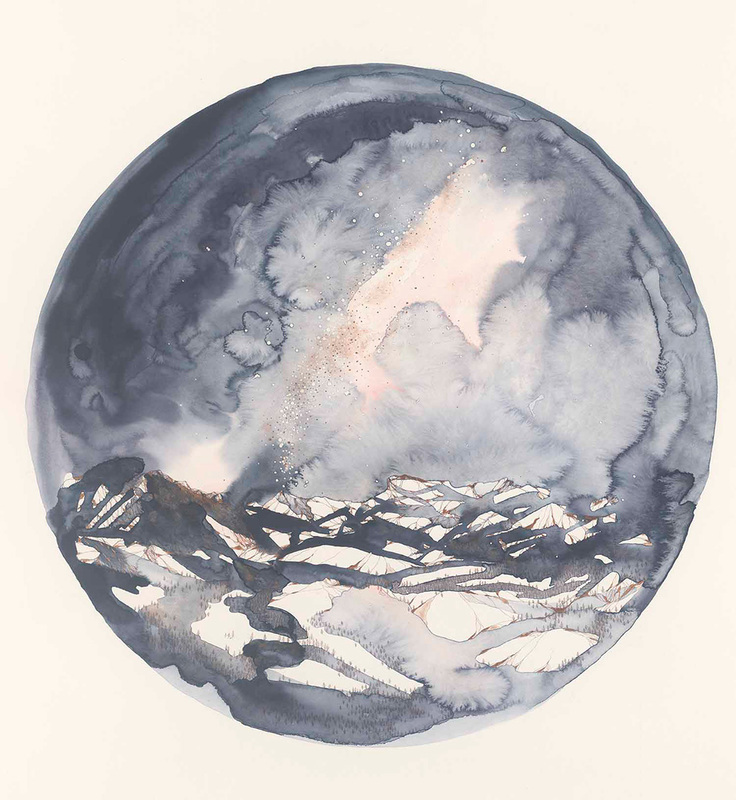 Working in saturated and subtle gradients of icy blues, winter whites, granite, lichen, indigo and mauve, painter Ingrid Bowen and ceramicist Rachael Harrex reference the steep and gentle gradients of mountains, and employ refracted light and reflected angles to hint at unfathomable notions of scale and space. 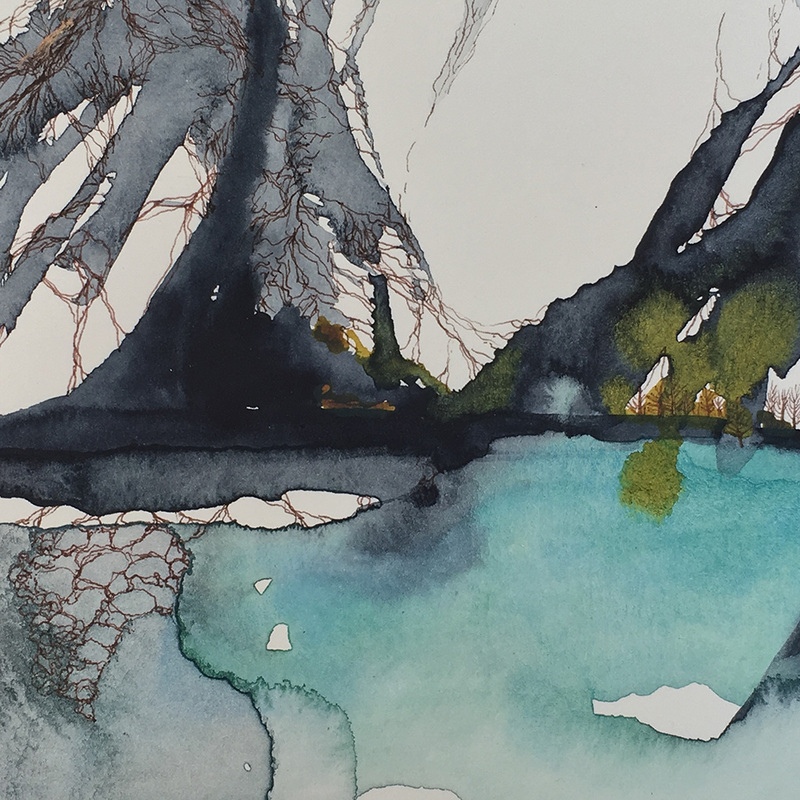 Ingrid returns to Saint Cloche after winning the Little Things Art Prize in September 2015 and recently participating in the Saint Cloche group exhibition Elements. 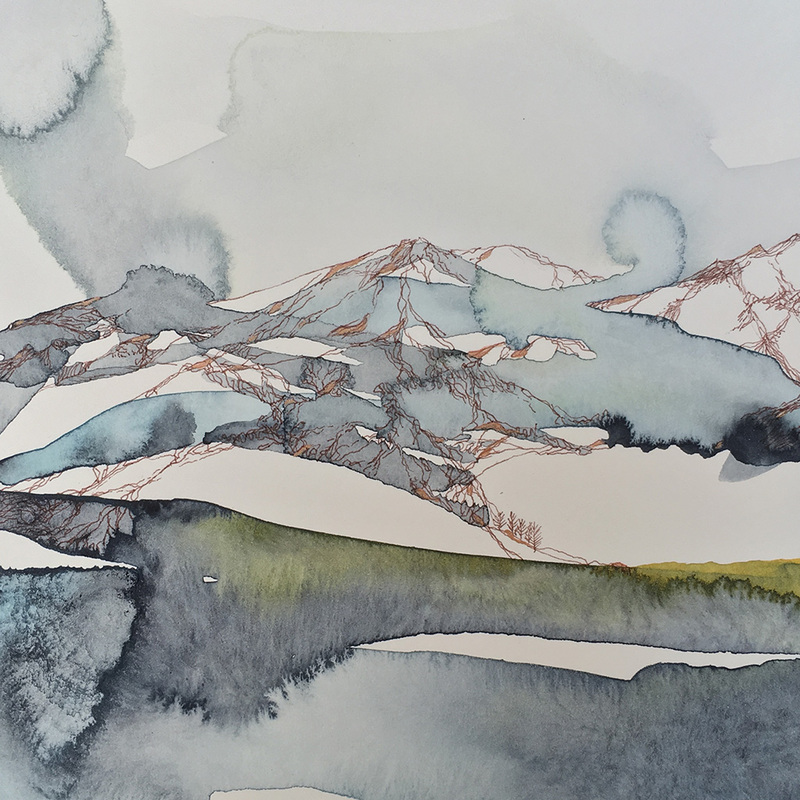 For winter, the Sydney-based artist has taken inspiration from vast, ancient ranges and deep valleys in search of the elusive Alpine horizon. 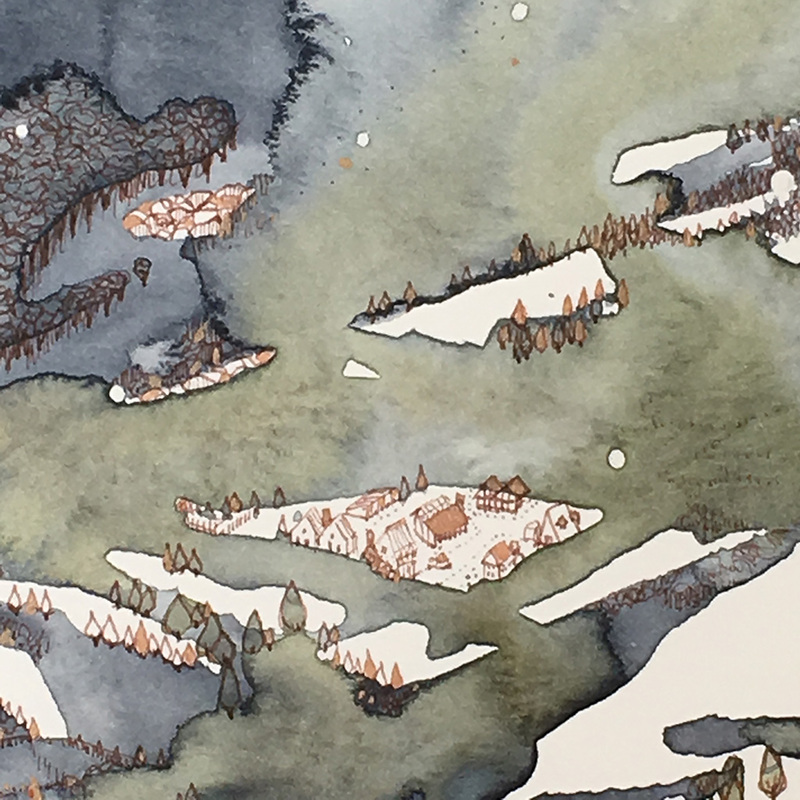 Continuing in the oeuvre of Elements, Ingrid presents a wistful interpretation of dramatic cold climate landscapes by drawing patterns and detail in and out of focus. 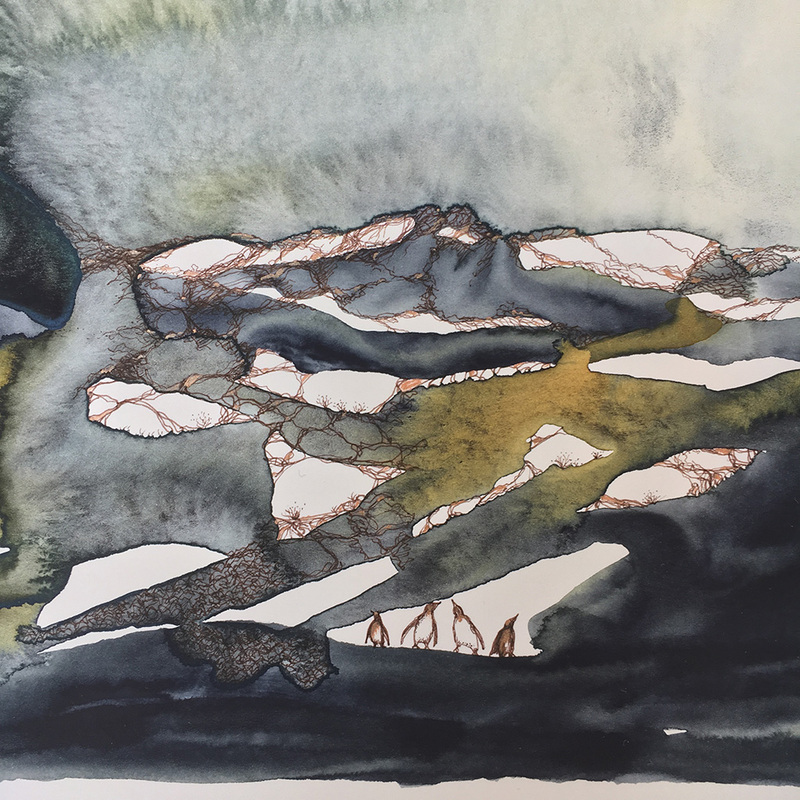 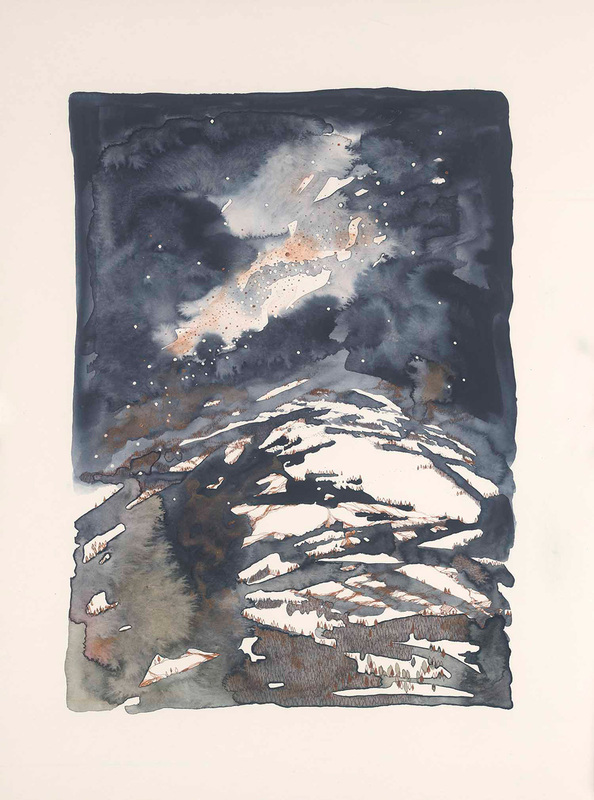 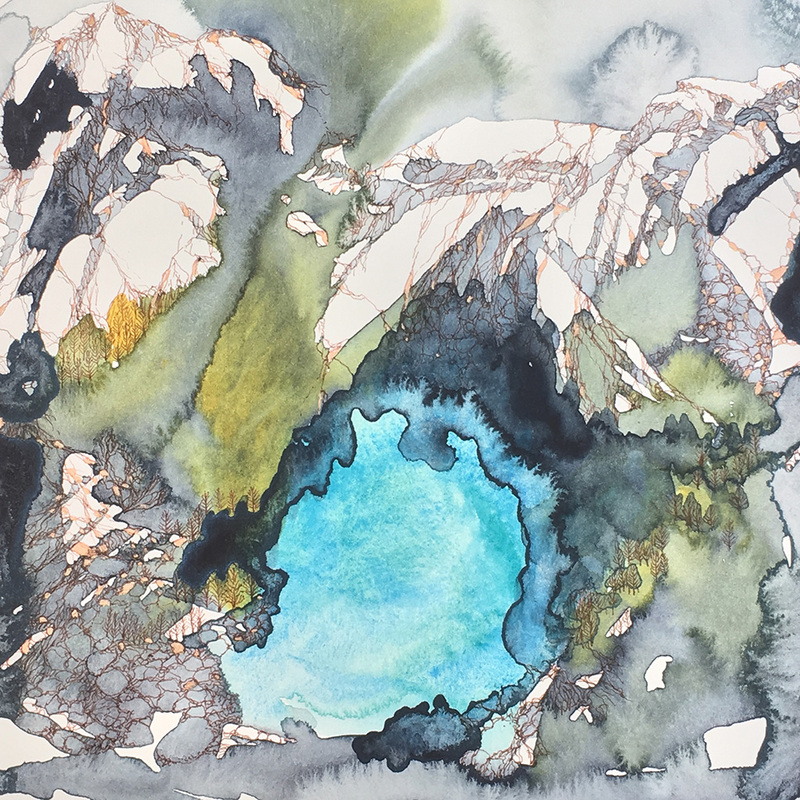 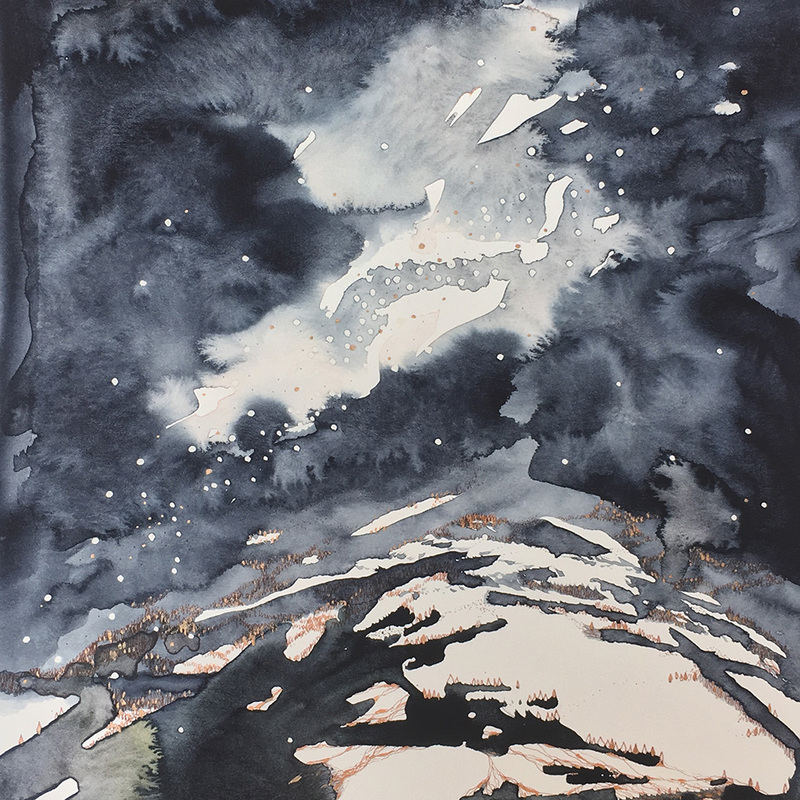 Working on cotton rag board with watercolours and inks, Ingrid creates ambiguous landforms and fragmented perspectives that engage and evoke alpine bliss. 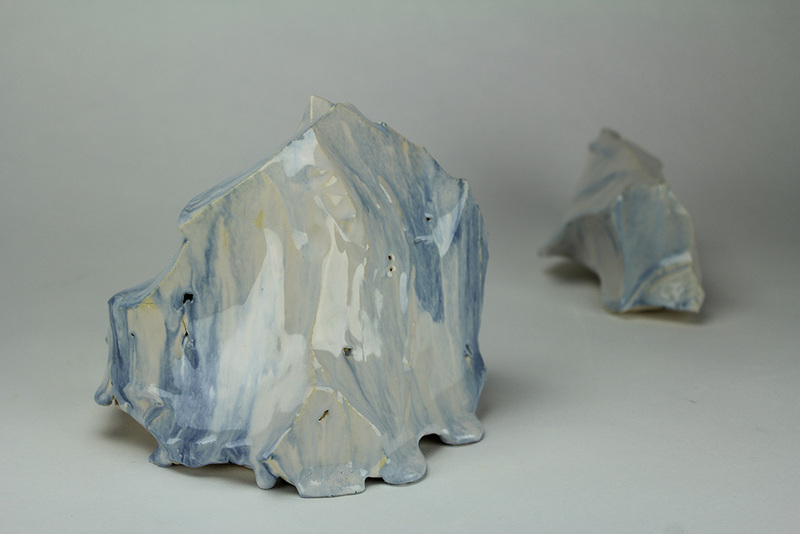 Rachael is a contemporary artist from Sydney whose practice spans ceramics, installation, drawing, painting and textiles. 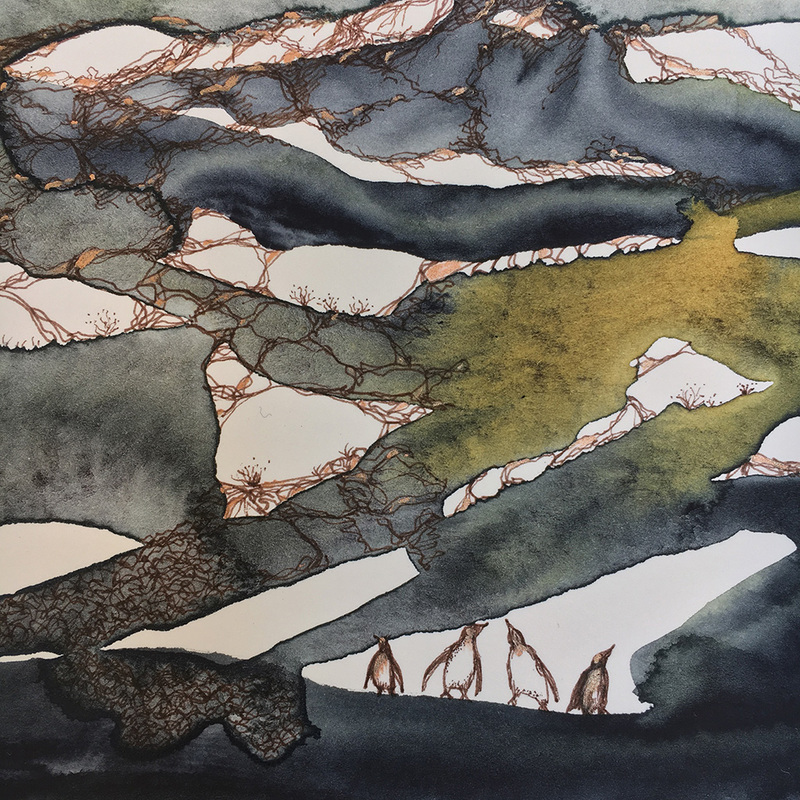 Rachael is currently studying a Masters of Fine Arts at the National Art School, and she is the 2016 recipient of the Bird Holcomb Foundation Scholarship for continuing studies in the fine arts. 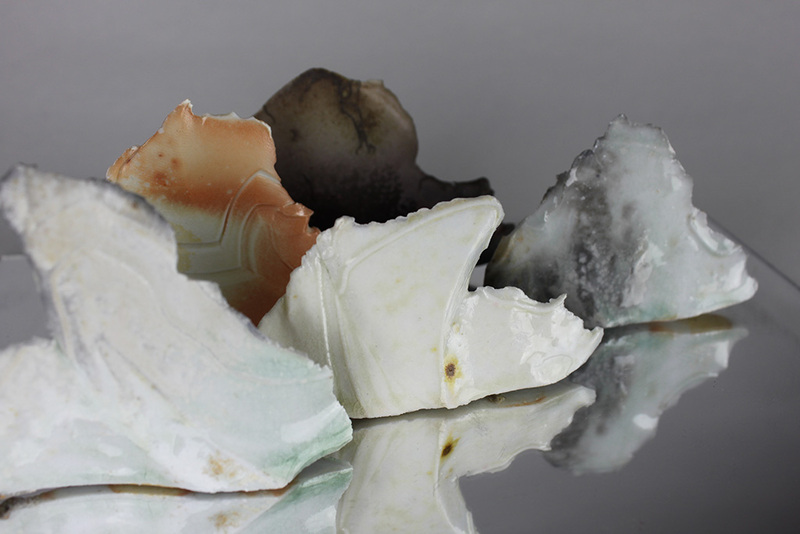 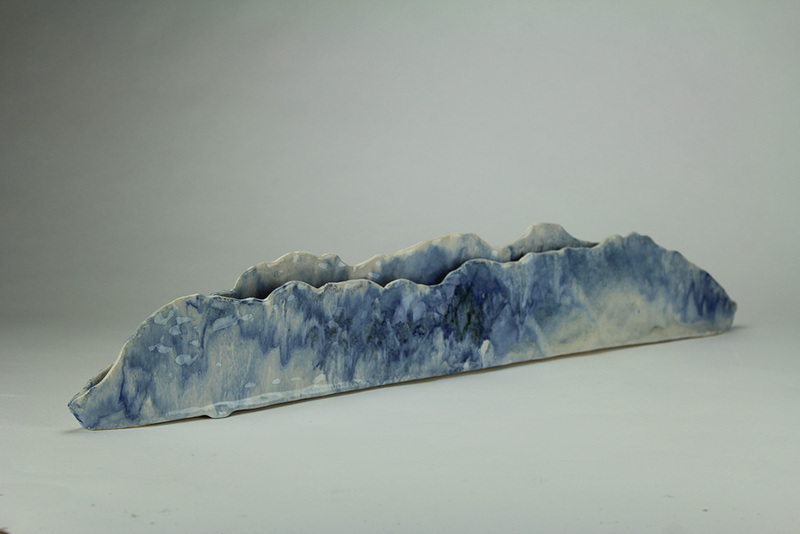 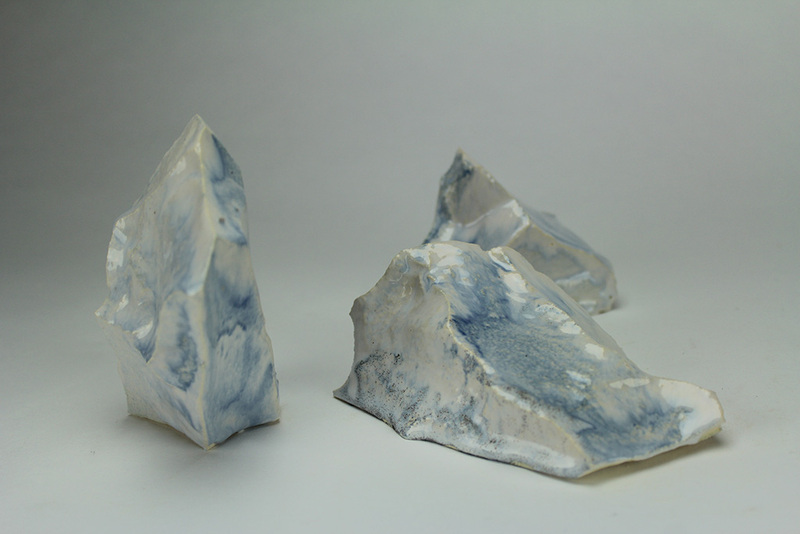 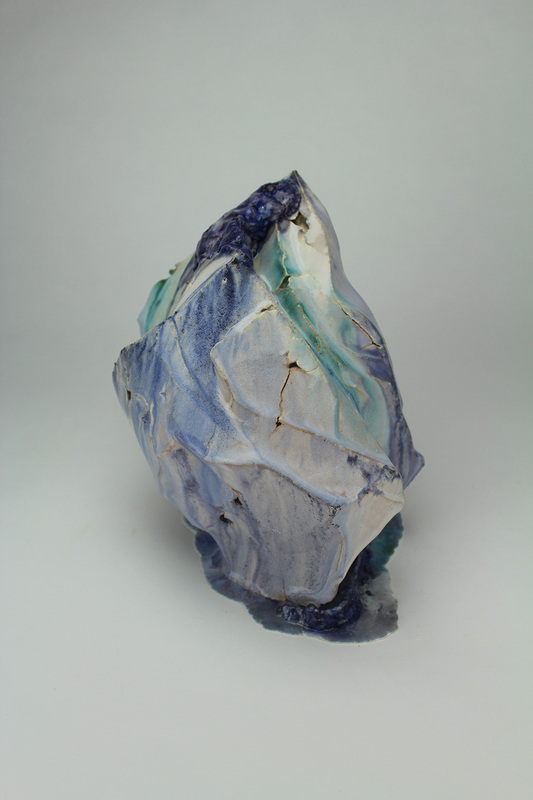 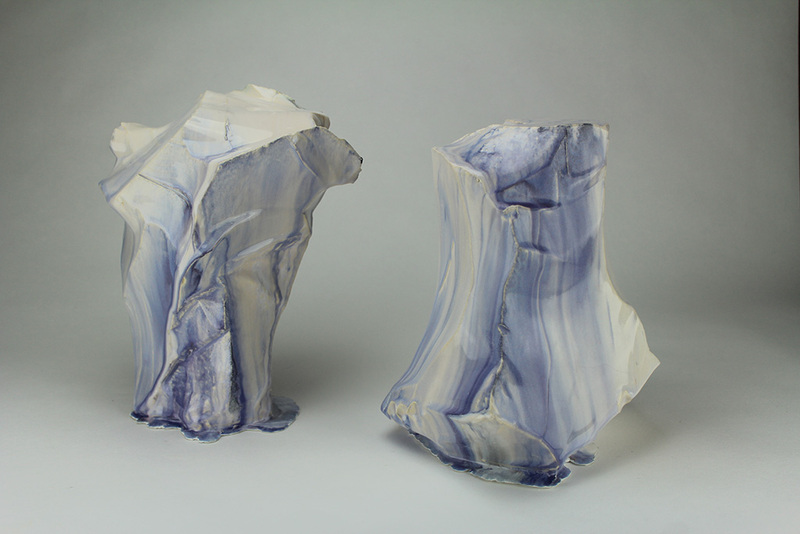 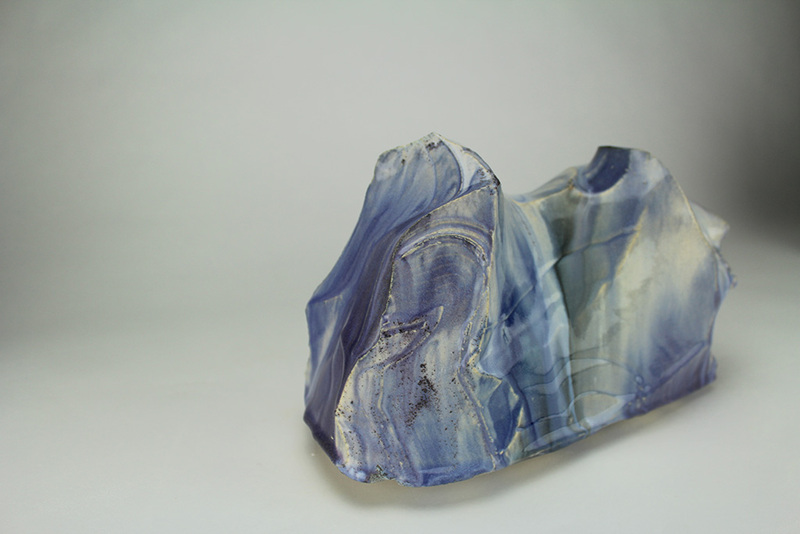 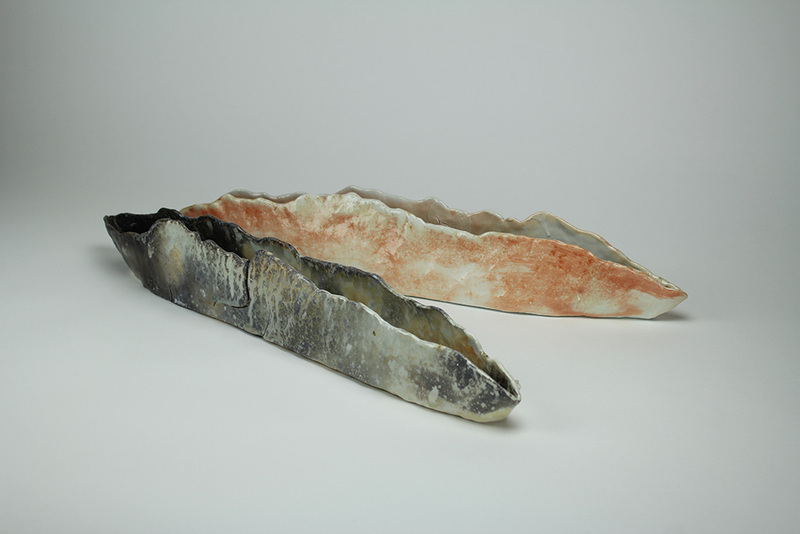 Her background in Environmental Science informs her current practice in ceramic materials and processes, responding to the precarious nature of a changing landscape. 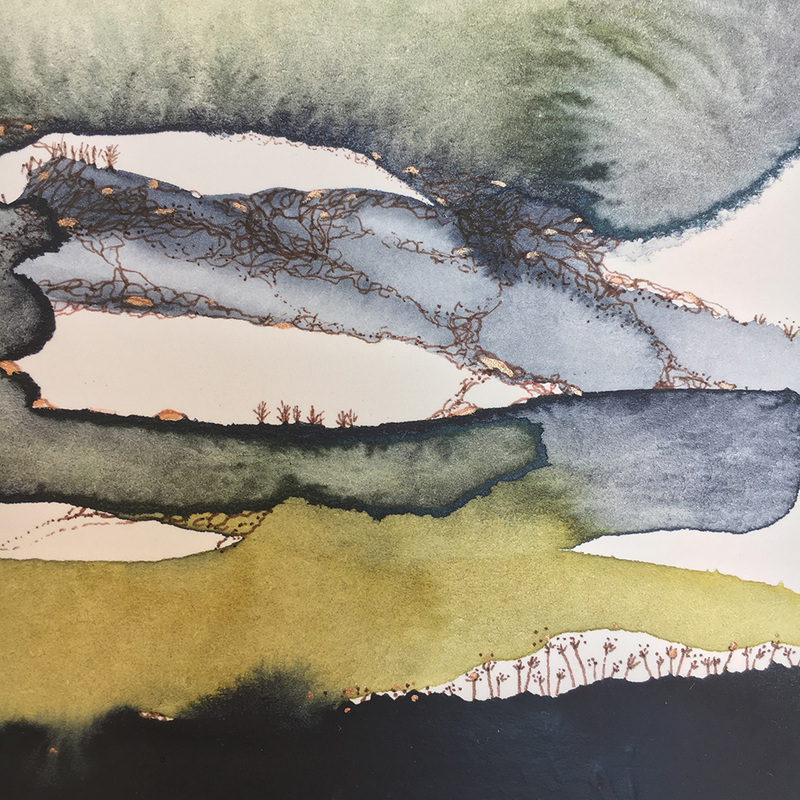 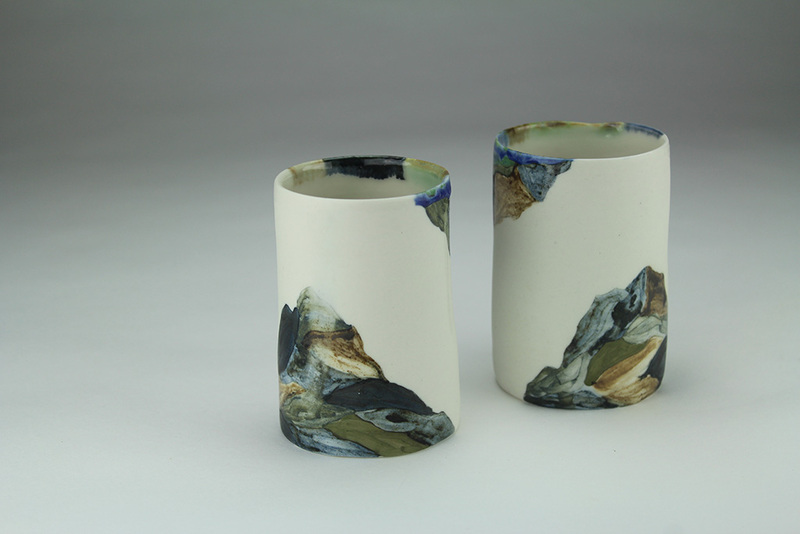 Alpine Climes From the dramatic and gentle gradients of landscape, to the subtle and saturated gradients of colour in Alpine climes, Rachel’s work in Gradient is a response to her walks in the Patagonian wilderness. 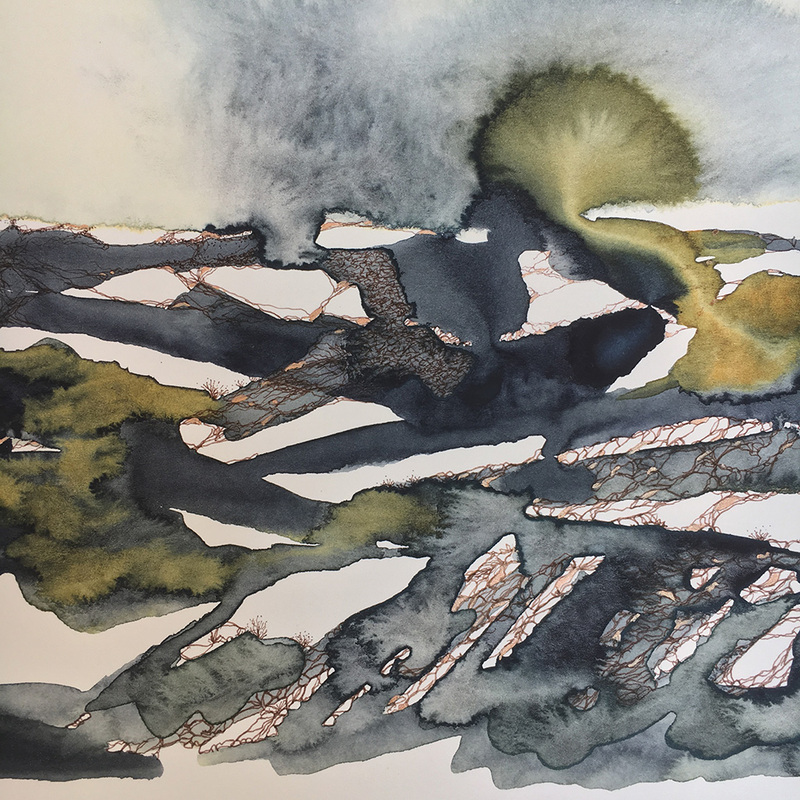 The use of repetition and refracted light give a feeling of infinite illusion and fragmentation, uncertain lines and seemingly unstable forms respond to the precarious nature of a changing landscape. 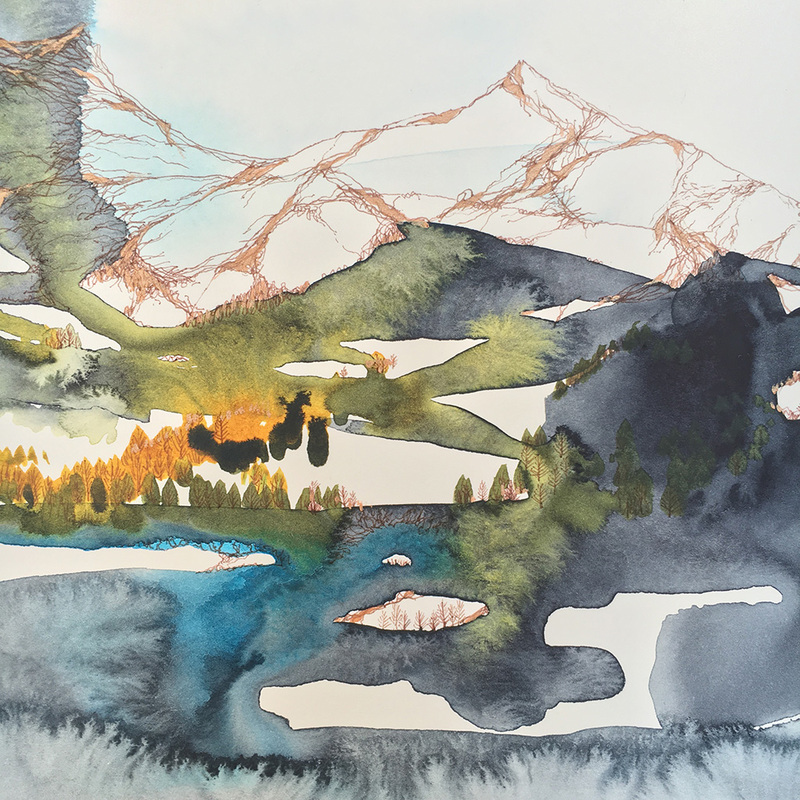 We would be delighted for you to join us at the opening reception of GRADIENT and meet the artists.